Well ... maybe not that old (although I have married 90-year-olds). But many couples have been previously married. High School sweethearts who meet later in life. 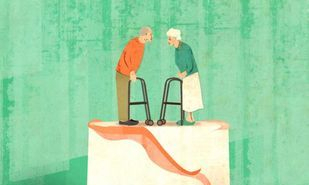 Couples who have been married for 50 years (or more) and wish to celebrate with a Renewal Ceremony. Whatever your reasons, whatever your desires, whatever your preferences, I'll help you make the event very special. Call me. You'll love it! 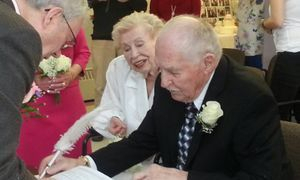 This couple were married after a lifetime of friendship. She became ill, and they decided, "Now is the time."